That’s what I meant when I specified “by itself,” because on its own, there’s no style or motif to match to. Unfortunately, you’re right; as more of the design motif shows up, the worse they seem to get. What I'm saying is you're not right, if you're having Andrew's argument.. You're correct with a separate argument, as I have very clearly already explained.. So, instead of trying to be clever with unofficial details and sticking to your guns, just let Andrew know you caught an inaccuracy in his statement, and move on.. You can offer a subtle "gotcha ?" and make a point.. It doesn't have to be a "HAHAHA GOTCHA, B**CH!! ?".. Which is how you're coming across, especially with something as flimsy as a helmet number.. You don't win any awards for winning arguments around here, especially when you're the only one having that particular argument, so lighten up..
Ok well everyone has their timelines mixed up here. I told someone else that slanted twos are unique to the Bulls....and Stars, Penguins, etc, etc. Then Andrew came at me claiming that the Penguins, do not in fact use slanted 2s, to which I presented a photo of the helmet numbers. So did I make the “GOTCHA” move right away or did Andrew think he “GOT” me? Then it’s not a proper response to post the evidence? I’m sorry how should I do things around here? Unlike most in this thread, I appreciate and agree with many of the points you're making, and I kinda like your style too. Just let this one go so you don't get the attention of the mods or anything. No one's timelines are mixed up.. The Penguins don't officially have slanted 2's in their number set, which is the point AW was making.. A tiny helmet number, used solely to help players identify their own helmet, that happens to be leftover decals from a previous era, are tough to make stick as "official"..
Everyone has acknowledged that you are correct in that they do, in fact, use slanted 2's in some capacity.. We're now trying to help you understand why you could possibly be right and somehow receiving this level of backlash.. Instead of continuing to defend your correctness and attempt to point out the flaws of others, just humbly move on.. That's the primary issue here, is that you seem to have such an issue with NEEDING to be absolutely right, acknowledged as such, and then praised for it, that it supersedes common discourse.. You proved that they use slanted 2's.. He made it clear that he was referring to their ACTUAL numbers (official team font, jersey numbers), which should've been the end.. But you had to make sure you won, and couldn't drop it.. That's why this has spiraled out of control, and everyone who comes to you offering help and advice becomes your next target..
You're just as guilty as him at dragging this on at this point. Show me where the Penguins have there official typography and fonts then. People keep saying they don’t officially use them but I’m pretty sure I see them on the helmets and I haven’t seen anyone prove that it’s not official otherwise. I’ve heard you state it, but you’re assuming. Noted, although none of my issue was with him dragging it on, but rather the manner in which he was going about it.. Particularly when opportunities to save face were offered, and those offering advice became targets..
Also, welcome to the "dragging this on" club! For what it’s worth. I’ve never seen official helmet numbers on an identity guide, but please just accept the fact that 1. you were correct, 2. I misinterpreted what you meant, 3. you caught me red-handed being a know-it-all jerk and 4. Everyone is tired of the situation, so leave it alone. Everyone is tired of it at this point. @Brown1 and @andrewharrington -- knock off the bickering NOW, or these threads are getting shut down. And everyone else, stop putting in your two cents or your armchair analysis; it's only dragging things out. I think the only thing really missing from the Dolphins' current set is how little orange they use. The previous sets had it perfect, and they're just a small tweak (and teal face masks) away from being a top-5 look in the league. We need the mothership newsbot to rescue us again. dolphins numbers are so damn bad, when im cropping photos to use in designs, i purposefully try to hide the numbers as much as possible. THANK YOU! The weight and composition of the numerals have been driving me nuts since they came out! 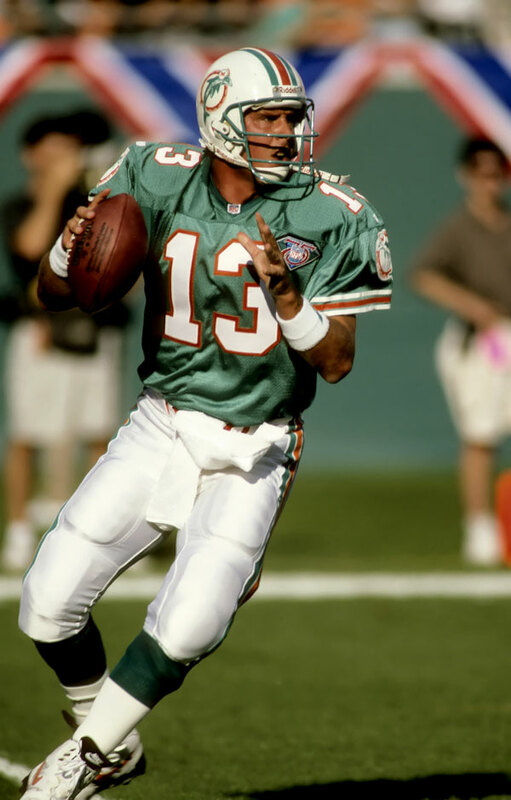 If Miami simply went back to this aqua and orange, ditched the white facemask for the aqua facemask, and 86'd the two different aqua/blue colors from the Jimmy Johnson years, I could actually live with the Dolphin Hotel & Resort logo on the helmet. 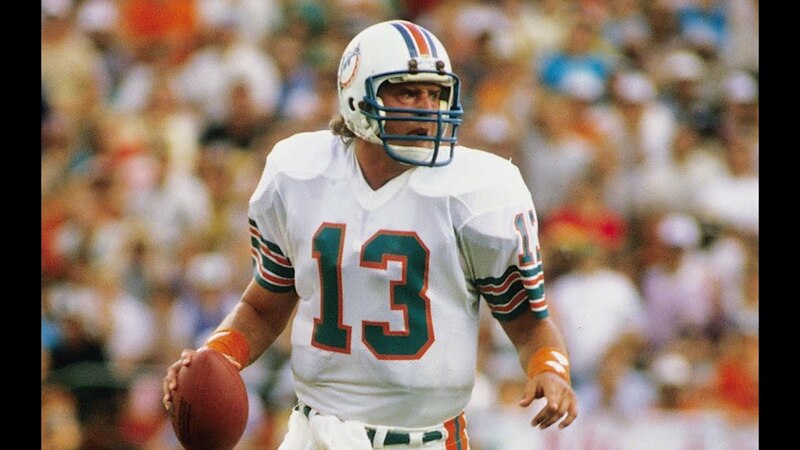 If Miami simply went back to this color aqua and orange, added the teal facemask, and ditched the two different blues, I could actually live with the Dolphin Hotel & Resort logo on the helmet. Just curious - why do you refer to going back to "this color aqua" and orange, but then refer to a teal facemask? Do you really mean two different colors there? I meant aqua. No, I didnt' mean two different colors and yes, the Dolphins are aqua. I edited my post for clarification.